The best add on you can fit to any van alarm system. The Rear load area microwave protects your tools incase the common attack of peal and steal is carried out on your vehicle. The way this sensor works is by emiting an RF field inside the rear load area in the back of your vehicle once the alarm is armed. 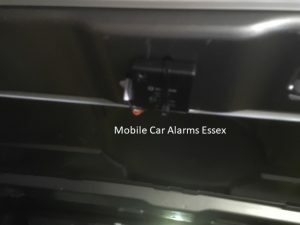 If the rear load area is disturbed during this time ( the RF field has been broken by movement ) the alarm will sound instantly giving you complete piece of mind. This is the best sensor on the market which is reliable and is not to sestive where it would cause false alarms. Some installers fit ultrasonic sensors in the back of vehicles but we have found these to be far to sensative in a van load area. The smallest item rolling or falling could cause a false alarm. The Microwave sensor we use knows the diffrence between a mass movement and a screw driver falling. If you would like a van alarm with a rear load area microwave, why not give us a call on 07525 068291.